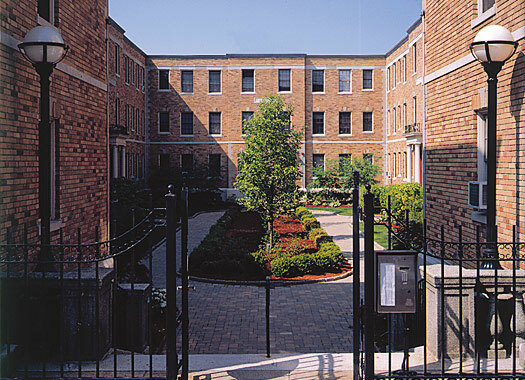 This mixed-use residential/commercial property, located on Massachusetts Avenue between Harvard Square and Central Square, comprises five conjoined buildings with 63 residential units, 7 commercial retail unit storefronts facing Massachusetts Avenue and 33 parking spaces surrounding a secure landscaped courtyard. Originally acquired for use as rental apartments, the asset was subsequently converted to for-sale condominiums, initiating significant exterior and interior renovations to upgrade the property and realize the highest potential return. Marketing began on 50% of the units on February 15, 2003 with those units sold by October 15, 2003. The remaining units that were not available and under lease until later in 2003 and 2004 were all sold promptly with total sellout by mid 2004.